This particular wooden oar has been developed with two things in mind. Firstly, robustness and secondly, cost. The oar has a loom diameter of 44mm and can be supplied complete with plastic buttons to locate in the rowlock and provide protection. Alternatively, if shipped in a wooden dinghy, you may want to opt for the 7" leathers held on with copper tacks, for the more traditional look. 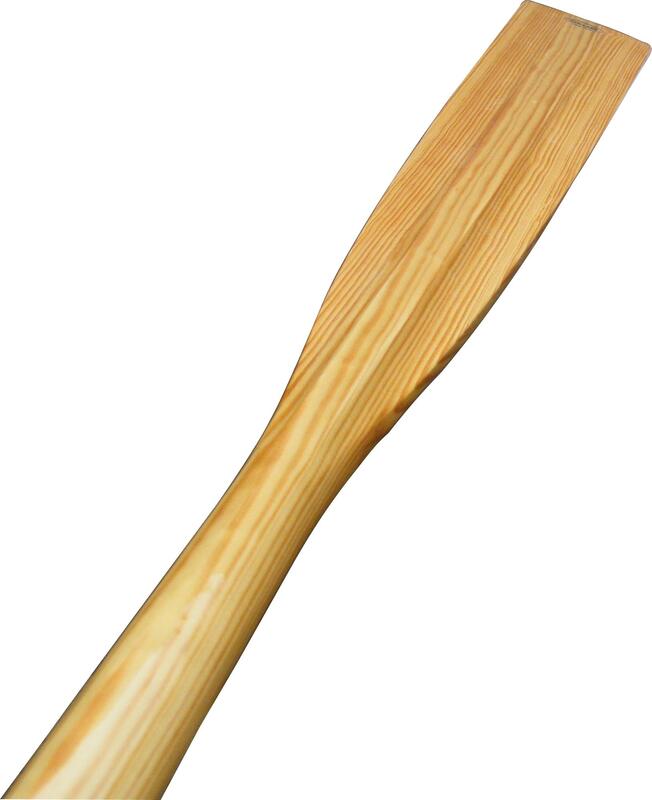 This double sided flat bladed oar is ideal for general purpose use. Whether used with your tender, to row to your main boat or perhaps, on a sailing dinghy, to get you home when the wind dies. Manufactured from either traditional vertical grain Hemlock or hard wearing European Fir, they are finished with 3 coats of varnish, ready for use.